Navajo Math Circles features work by Ohio University Associate Professor Dr. Bob Klein and airs Thursday, Nov. 3 at 9 p.m. Hundreds of Navajo children in recent years have found themselves at the center of a lively collaboration with mathematicians from around the world. The children stay late after school and assemble over the summer to study mathematics, using a model called math circles, which originated in Eastern Europe and which has proliferated across the United States. This notion of student-centered learning puts children in charge of exploring mathematics to their own joy and satisfaction, with potentially long-lasting results. Navajo Math Circles is a one-hour film that is documenting the meeting of two worlds: that of some of the country’s most accomplished mathematicians and math educators, with the children and teachers in the underserved, largely rural Navajo educational system. Learn more about the film at this link. Ohio University Associate Professor Dr. Bob Klein became involved in the project after successfully working in Math circles in the Athens area. 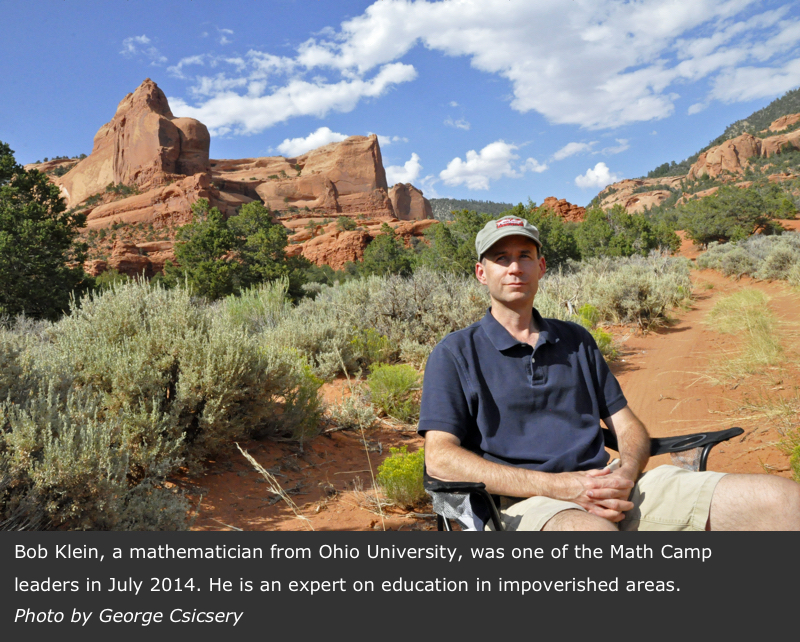 Learn more about the Math circles and his involvement by reading this article from Ohio University’s Compass.